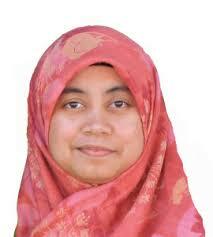 Norilmi Amilia Ismail is a lecturer in Universiti Sains Malaysia (USM). She was graduated in Aerospace Engineering from Universiti Sains Malaysia in 2004. After two years working in automobile Industry, her interest in Aerospace made her leave the industry and further her study in the University of Glasgow, United Kingdom. She was awarded MSc in Space Mission Design and Analysis in 2007 and PhD in Mechanical Engineering in 2011 where she conducted research on the dynamics of the Motorized Momentum Exchange Tether. She started her teaching in USM in early 2011 and drive her passion in teaching to gain the interest of the undergraduate students to the Space. She is actively involved in outreach program organized by the university and local community in space education in Malaysia.